Venture further afield with long days and challenging route finding. We all look forward to welcoming you on The Teme & Ithon Trail. 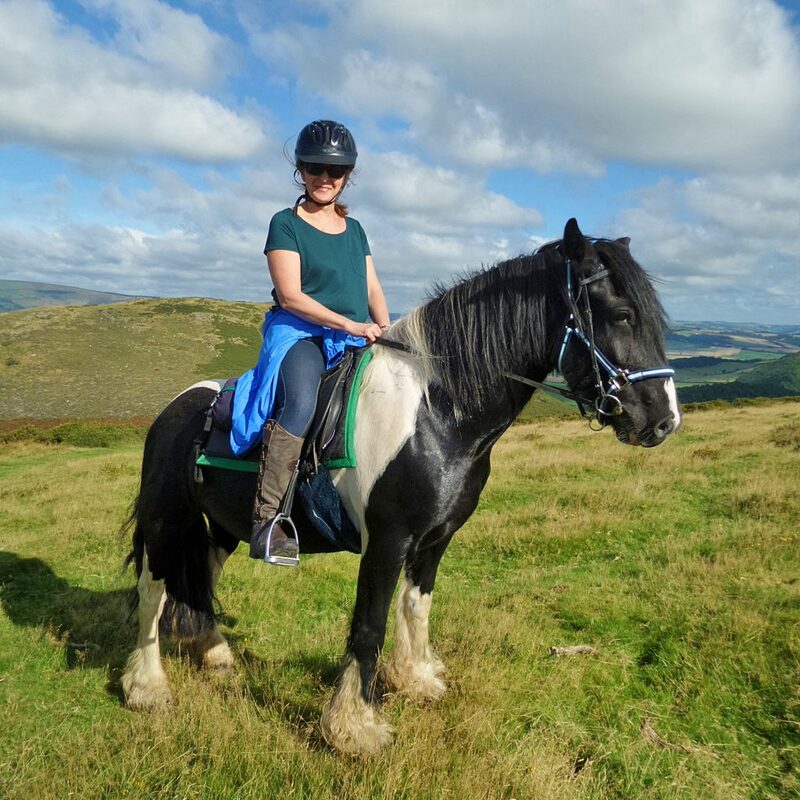 The Teme & Ithon Trail is a five day trail ride staying overnight at two inns, one guest house and one B&B. It heads all the way up to the Teme Valley on the Shropshire border and then over to the Ithon Valley in remote Mid Wales. It is five lengthy days in the saddle of 16-18 miles per day. A fantastic day follows covering the length of Beacon Hill through Llanbister and on to part of our Trans Cambrian North route. You come eventually to Abbeycwmhir and Laurel Bank guest house, your overnight stop the other side of the Ithon Valley. One of my personal favorite days on trail anywhere. Worth a visit in the village is The Happy Union Inn whose sign features a rotund gentleman riding a goat and sipping a mug of ale. From the Ithon Valley you head south following a beautiful trail along Glyndwrs Way. From here on to Penybont and the Severn Arms Hotel, a possible lunch stop then over the edge of the Radnor Fforest to Red Lion Inn or Fforest Inn, your final night’s rest. From here final day over the hills to Freerein HQ. 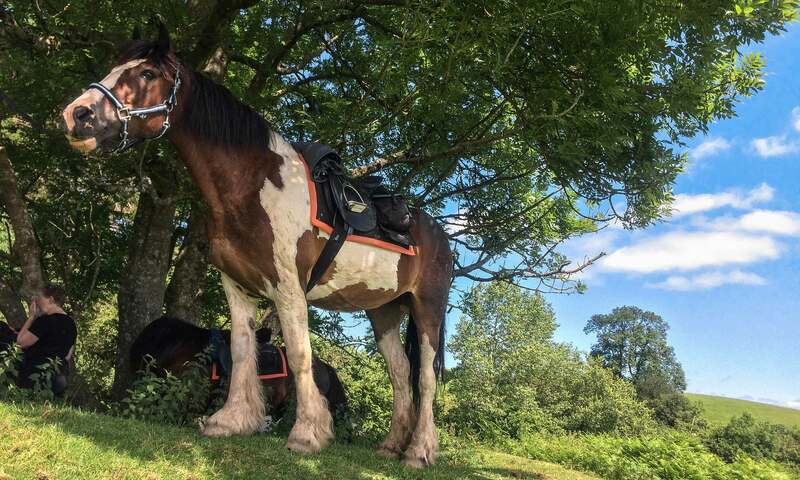 Explore the Teme and Ithon valleys, in the outlying reaches of the Radnor Hills. Wonderful riding in this little explored area . 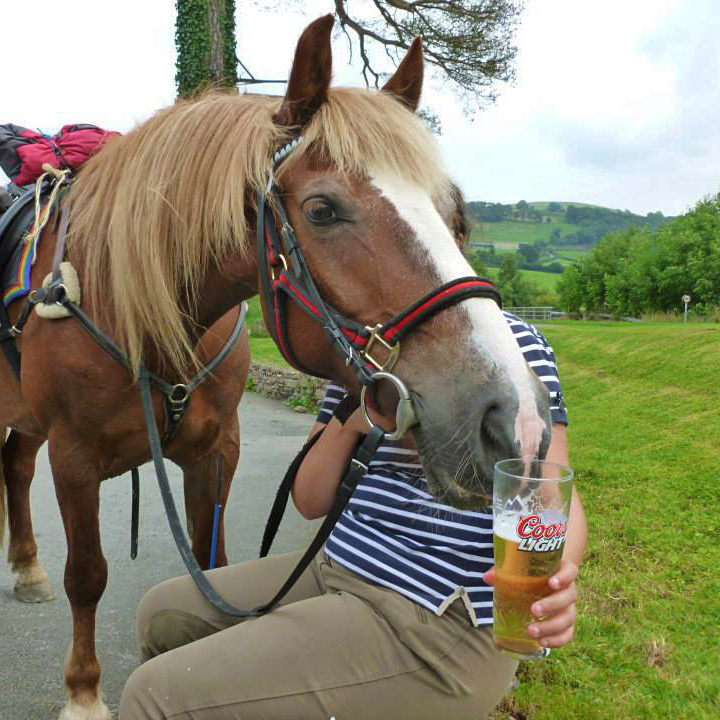 . .
Freerein Alfie enjoying some light refreshments!